Nah! trimmed my hair already...short enough? Hahaha. Next month Christmas liao. Year end coming liao. 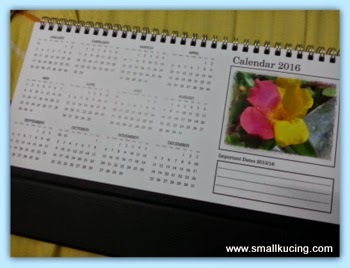 I guess many businesses and companies will be printing Calender for own use or to be given out to customers.Usually this is also the time of year where Mamarazzi will ask her friend in the Bank whether they have extra calendar or not. This year we are very lucky. We have got our Calender already. Wanna hear the whole story? Well...do you remember our post about "Scanning Old Treasures into Photobook"? It seems that someone from Photobook Malaysia saw our post and is very happy about it. Guess we won't know who will be reading our blog posts out there ya? Could be nice people and could even be psycho there *may God heal them*. Anyway, surprise surprise....Photobook people wrote to us and thanked us for the unsolicited post *blush* . To show their appreciation, they invited us to try out their newly launched product. 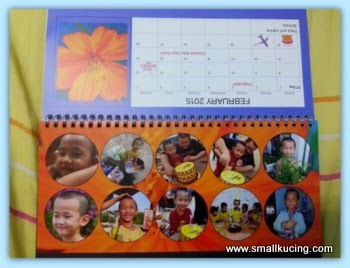 It's a Personalised Calender that would be great for home, office and even would be the perfect thing as a gift. Mamarazzi was pretty excited. 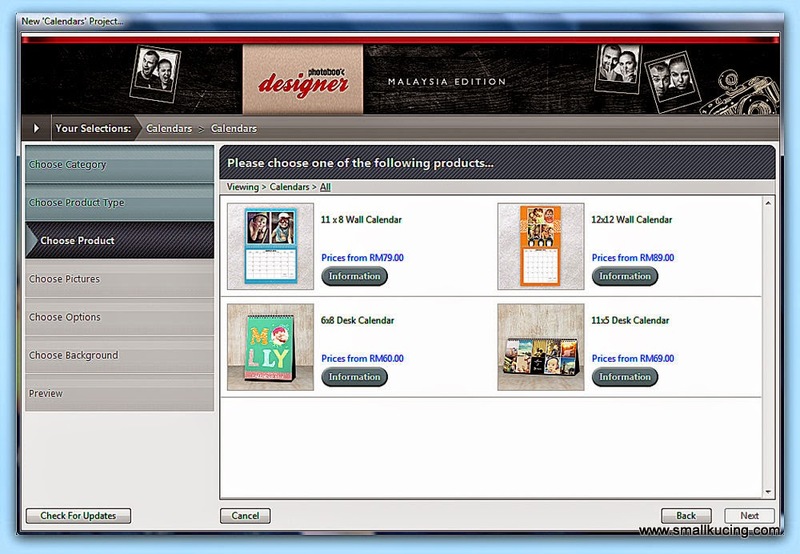 Turn on the Photobook Designer Software in her computer and looked for the Calender printing option.. Hmm....where is it ah? Tarak. Adoi! Piak her head. People already said "New Product" of course la old version Photobook Designer don't have that option. The next day. she guai-guai went and downloaded the software again. 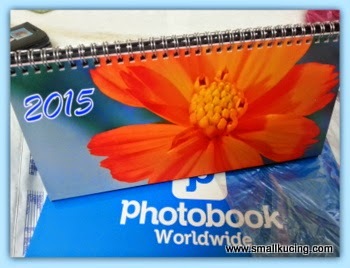 Fuiyo....now Photobook Malaysia not only offer printing photobooks only but also Canvas. Stationeries and Calendars too. There are wall calendar and desk calendar. 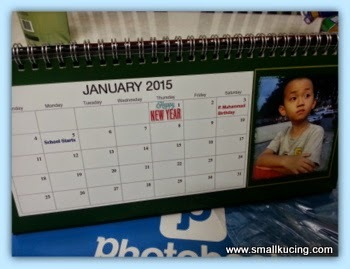 The one Mamarazzi made was the 11x5 Desk Calendar. Many page style to choose from. 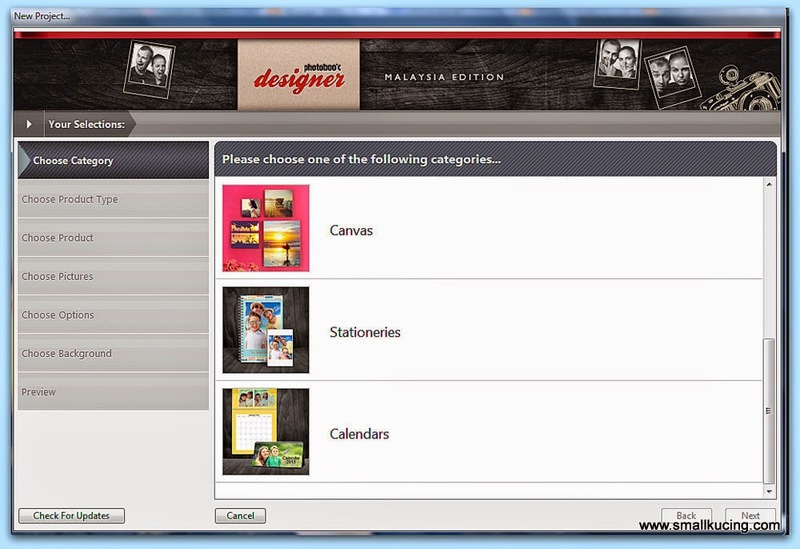 If don't like the page style, can always select a blank page and design it according to own preference. 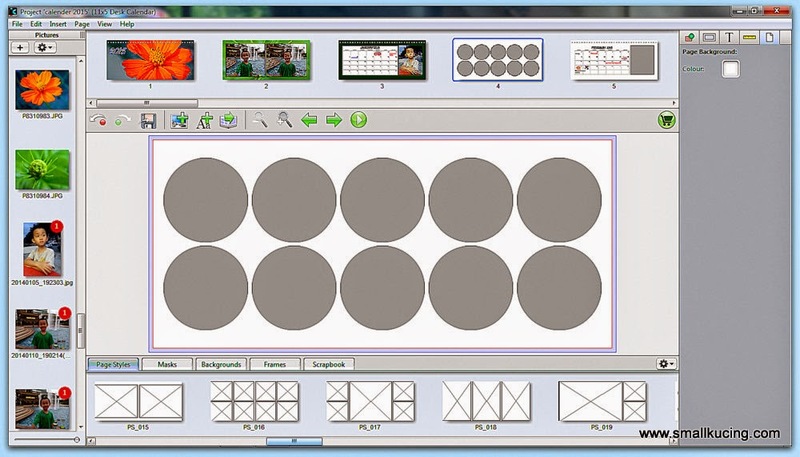 Mamarazzi was satisfied with the page arrangement so she did not change or modify them much. She just add some background to the existing backgrounds; using the photos she snapped. She further typed in the holidays and important dates into the dates boxes. Everything done, just click the cart. paid for the shipping. 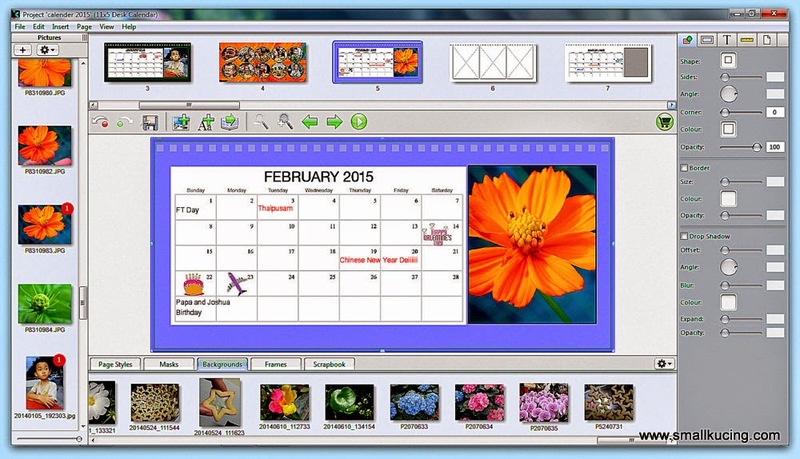 upload the calendar online and wait for our calendar to arrive. As usual, she received various updates from Photobook about status of the payment, printing and tracking of the arrival of the photobook. Love this service. Two days later, came back from school...our calendar was waiting for us. Ah....the one and only Cosmos plant ...Lovely bloom but tong tong chiang liao when we balik kampung last round amd it got attacked. Haiz...at least have a nice photo of it as a remembrance. This is how it look like standing up. I can scribble in the relevant boxes if there is anything to add later on. What Mamarazzi did for our Calender was this... she slotted in my photos which was taken in year 2014 to the respective months in 2015. For example, February sees Papa and me celebrating out birthday together. Then in October, my first SCKLM Kids Dash due to influence by Auntie Lina and me getting mystery gift from The School in JayaOne. 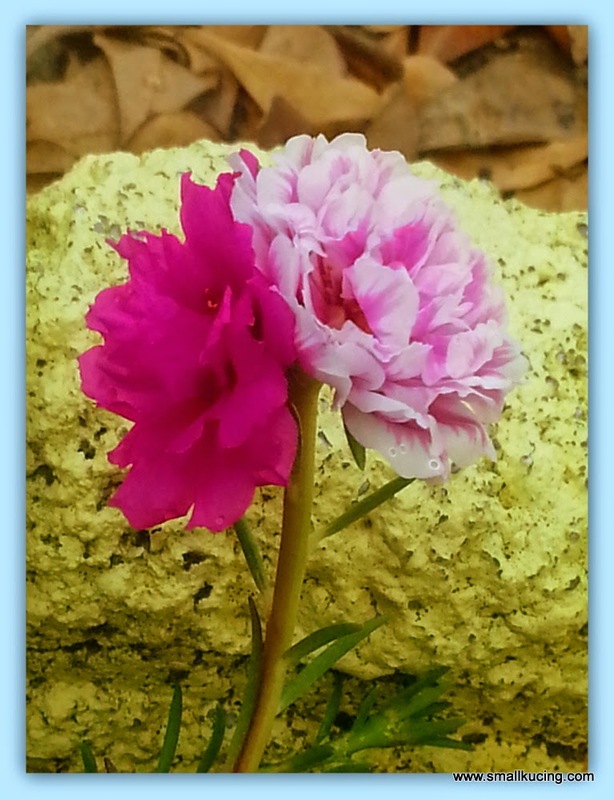 At the very last page, Mamarazzi put in the photo of her strange Japanese Rose bloom. Weird....come out two colors. That was the one and only bloom with this strange mixed color. The rest of the time it was either red or yellow. Oh...there was another odd incident too where it blooms different colors from the same stalk but Mamarazzi did not put into the calendar coz the quality of the photo was not sharp. That is the good thing about photobook designer software. It will warn us if the photo quality uploaded is not good enough and that it will result in poor printing quality. Hence, we can choose whether to take the risk or just choose another photo. Again....we like to thank Photobook Malaysia for giving us this unexpected gift. Thank you. Sendiri make one sure fast la. Not for me, thank you. 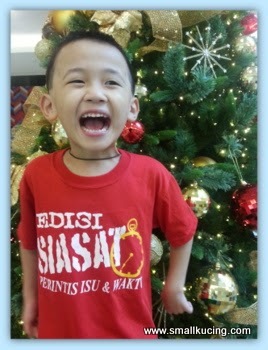 My calendar, sibuk sibuk ask from people - by December, still showing January. Hehehehehe!!!! Wah! Personalised calendar! For sale or not?? That's a cute calendar... really good for memories! wah!!! good leh, Uncle SK so jealous leh got people from Photobook is one of Mamarazzi's silent reader and fans.. Uncle SK wrote a post and then wrote to them also tarak orang aci also, boohoohoo~~ next time must tumpang guest posts in Mamarazzi's blog!! muahahaha..
Wah, I like Japanese Roses. So far I only have fuschia colour. Yours are very unique! I did a photo album from Photobook before but not happy with the quality. Photos came out dark-ish and not sharp. So cool leh got your face on the calender! What a neat calendar.... George and I make personal calendars like that for family/friends at Christmas. Last year I made a Rose Calendar --with a different Rose picture featured each month... Another year, George made a calendar showing 12 beautiful waterfalls... People enjoy these personal gifts --and we love making them. Congrats that people have noticed your great blog. And the calendar - what a way to look at dates and see we are they too. wah, so special got personal calendar! u look hensem wor! Whooaaa!!! Your mamarazzi is now expert in this. Last time she used to be stressed with compiling photos. Now I am sure she can make them with eyes closed. The calendar is very nice! Very nice calendar.you just reminded me that I need to get one. :) so did you manage to get one? This calendar is so special! Really nice! Can put meaning photos related to each month like what Mamarazzi did. I like the red and yellow 2 in 1 flower.